A LeBron James-led team has captured the last eight Eastern Conference crowns, but his departure for the Los Angeles Lakers in the offseason means it is wide open this year. 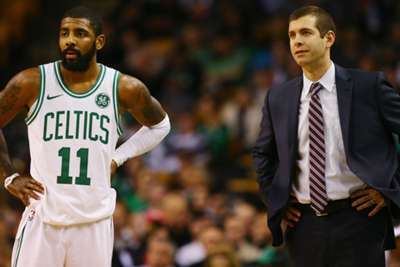 The Boston Celtics are fully healthy and enter the season as the favourites in the East, while the Toronto Raptors and Philadelphia 76ers also appear ready to compete for the conference's top spot. We take a look at the Eastern Conference in 2018-19. Toronto made the biggest move of the offseason when they acquired Kawhi Leonard, along with Danny Green, from the San Antonio Spurs for a package involving DeMar DeRozan. Leonard, one of the best players in the league, will add more star power to a team that won 59 games last season while Green is a solid three-and-D player with championship experience who will improve the Raptors' starting line-up. Those two pieces have elevated Toronto into NBA title contention. This one's easy. Cleveland has reached four straight NBA Finals and won the title in 2016. James, however, will be in a Lakers jersey this season and he will be almost impossible to replace. The Cavaliers drafted exciting rookie point guard Collin Sexton and still have Kevin Love, who signed a contract extension in the summer. But they will fall from the top of the conference standings and will be lucky to sneak into the playoffs in 2018-19. Milwaukee star Giannis Antetokounmpo should be one of the best players in the conference and is a dark horse MVP candidate. The Bucks are set to bring back almost their entire core from a team that had a 44-38 record in 2017-18 and have added center Brook Lopez, who signed a one-year contract in July. He will be a low-post scoring threat off the bench. New coach Mike Budenholzer will also open up the offense. The 23-year-old forward is entering his first season with the Bulls after he agreed to a two-year, $40 million contract in mid-July. Parker has dealt with knee injuries throughout his four NBA seasons. But he has been a reliable scorer when healthy as he has averaged 15.3 points per game and knocked down 35.2 percent of his career three-pointers. Parker should get more touches with the Bulls, especially with Lauri Markkanen out for six to eight weeks with an elbow injury. The Celtics, 76ers and Raptors, the three best teams in the East, are in the Atlantic Division. Boston are the most talented and should take home the division crown, but it will be close. Antetokounmpo will be the most fun player to watch in the conference on a nightly basis. Along with a strong supporting cast, he will lead Milwaukee to the top spot in the division. John Wall and Bradley Beal are still one of the best backcourts in the conference. The Miami Heat should also be competing for this spot throughout the season. The Celtics were without forward Gordon Hayward for all but one game last season and star point guard Kyrie Irving went down with an injury in mid-March. But Boston still finished 2017-18 with a 55-27 record and advanced to the Eastern Conference Finals, where they fell to the Cavaliers in seven games. Both players will be healthy at the start of the season. Their return will allow the Celtics to mix and match off the bench as young forwards Jayson Tatum and Jaylen Brown and guard Terry Rozier received valuable playoff minutes in their absence. On paper, Boston head into the season as the deepest and most talented team in the East.